The Conway Street Shops is a small 3,800 square foot mixed-use building containing retail space on the first floor and two apartments on the second level. 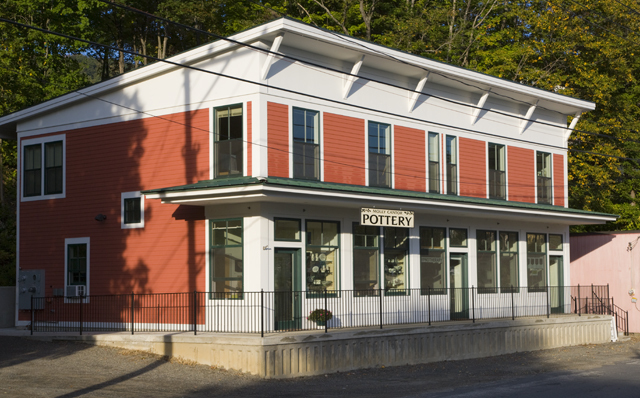 The building faces the Deerfield River with views of the Salmon Falls and Shelburne Falls Bridge of Flowers. Sitting on the footprint of an existing service garage, the design is a contemporary version of local mill and retail buildings. This project was done as designer and project manager with DD Engineering.